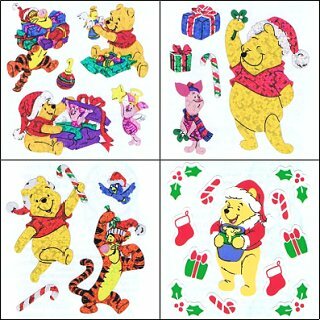 This collection of Winnie the Pooh Christmas stickers features Pooh, Tigger, Piglet and an array of Christmas icons like Christmas gifts, candy canes, holly, stockings and more. Some of the stickers are shiny for some extra Christmas cheer. They make the perfect embellishments for your Christmas scrapbooking layouts, handmade cards and gifts.